For three days, leaders of volunteers came together at The 2017 National Summit on Volunteer Engagement Leadership to collectively share and brainstorm the future. This summit actually extends far beyond “national” as we were joined by leaders from other countries such as Rob Jackson from the UK. This energy of collective purpose is akin to swigging a chilled bottle of sports drink after a long grueling run through the blistering desert. Sometimes we can feel isolated. Often we may feel that progress is slow. Many times we feel as though we make no perceptible difference in the scheme of things. But, each one of us makes an impression on our surroundings. Each one of us creates ripples that travel in circles radiating outwards. Each of us eventually leaves our profession behind. How will we leave it? But wait. I think those of us who engage volunteers can take this one step further. Just as we impact each volunteer we encounter, we also leave a lasting effect on our profession. What might that effect be? Do we owe it to each other and future leaders of volunteers to leave the profession in better shape than we found it? Do we owe it to our volunteers? 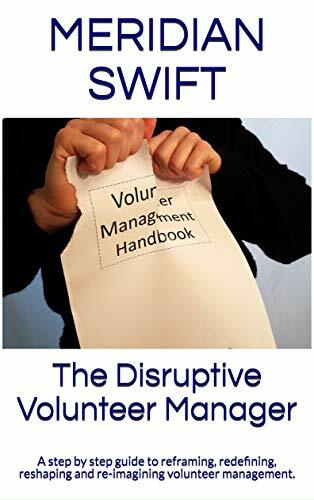 Even if the title “manager of volunteers” is temporary, or a stepping stone, or a detour in a career, there is an entire network of individuals working diligently to elevate this profession. So what can each of us do? Don’t remain isolated. Join a peer group in town, find leaders online to connect with, web groups to join etc. Advocate professionally. Use your voice to advocate for resources and the tools you require. Share your impressions and experiences. Blog, comment on posts, add your expertise to articles on non-profits. If you read a post on non-profits that blatantly ignores volunteer engagement, point that out in the comment section. Use your influence. When you do leave, remember your time as a leader of volunteers and use your influence to advocate for this profession. Your professional essence is left behind as you move on, retire, or seek other opportunities. How you treat this “job” goes far beyond your own perceptions and needs at the time. And while it might seem so, we are not working in silos. 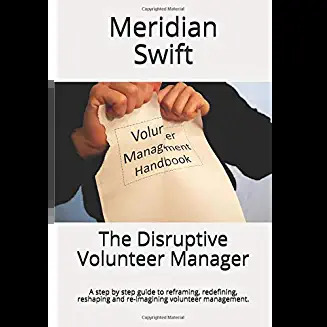 If each one of us leaves volunteer management in better shape than we found it, imagine the future of volunteer engagement. Thanks Eileen, Collectively, we can improve our profession and therefore, volunteerism. Plus, engaging volunteers kind of gets under your skin and you just can’t walk away from it without being dramatically changed for the better. I think we owe it to the profession to help elevate all the hard working managers who on any giving day are doing a fantastic job. What a wonderful post, Meridian. We have so much more influence than we realize. It’s important that we use our skills and influence to “steward” the profession and leave it in a better place. Thanks Elisa-we all can be a “thousand points of light” for our profession. Last week was such a great experience – I’m so excited and grateful I was able to be there! Thanks Louise, it was a wonderful opportunity to grow and learn. Unfortunately wider economic and political forces cause me to be less optimistic for the immediate future. Best wishes for yours. PS : But rest assured a lack of optimism does not stop me pushing to get ahead! Thanks Sue and I understand completely. Reality sets in and enthusiasm wanes. Pushing for change is really really hard. Maybe that’s why all these volunteer managers are doing it-we are comfortable with hard work and lofty goals. This is an excellent (and inspirational) post, Meridian! Sharing on Twitter — I bet others will feel similarly. And so true: no matter where we are in our careers, we all have a responsibility to advocate for the field and to change the profession for the better. Thank you Basil! I agree-we make an impression no matter how brief our stay. What will that be?